After falling into a crevasse, swimming in crocodile-infested waters, dodging cocaine con artists and encountering handsome soothsayers, Amy soon starts to wonder if her Mum, boss and Carol from reception really were onto something. Weighing up their advice against that of known `Clever People' like Tina Fey, Salvador Dali and Mother Teresa, Amy finally establishes once and for all who it might actually pay to listen to. This is a great book, I would highly recommend it. It is very funny, honest, and sometimes excruciating. There are no softening of the edges, she takes on mountains she isn't fit enough to climb, sleeps with men she really shouldn't, hangs out with some tedious hippies, it's funny. We've either all been there, or has a mate who has. It's one of those life defining journeys, that are life defining because loads of really good stuff happens and a lot of crap stuff too, all retold in hilarious detail. By the end of the book the author is your mate, and you end up reading the section at the end featuring all the people she wants to thank because you don't want it to end. 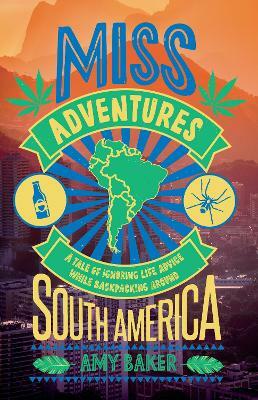 If you are looking for a good description of South America, a laugh, a hero you want to root for, and a conversational unputdownable book. This is it. It's funny, honest and a great read. I finished it in under 3 days.